Our specialist Grease & Oil Remover contains a powerful formula that removes almost all grease and oil stains from your carpets and upholstery. Unlike other solvent-based carpet solutions the Chem-Dry® Grease & Oil Remover is water based and non-toxic. 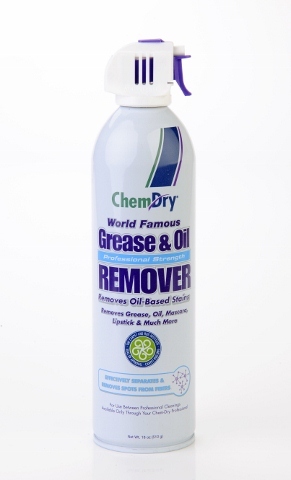 Grease & Oil Remover is available in 520ml cans. Due to transport restrictions, this product is only available to addresses in mainland GB. Sorry for any inconvenience caused at this present time.